I must confess that I haven’t been the one cooking around here lately. Things have been tough and there’s a lot going on around here between kidney stones and some job stuff. My mom has been a champ, more than picking up the slack I’ve dropped. So, I take no credit for the cooking happening in these photos but I did do S’s hair in the first photo, I did hard boil those eggs in the second photo and I did peel and chop all those fruits and veggies in the third photo. These photos are posted as part of a weekly Thursday Blog Hop. 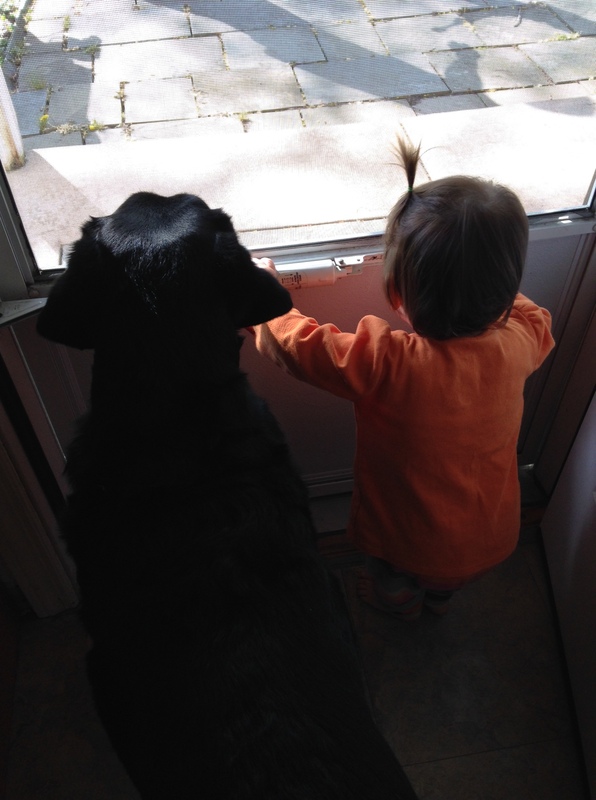 S and Z look out the back door together. They’d both rather be out back than inside any day of the week. If you happen to open the back door and not let S out – watch out! We’ve been eating the heck out of Mandarin Oranges and other small citrus lately – even the baby loves them. 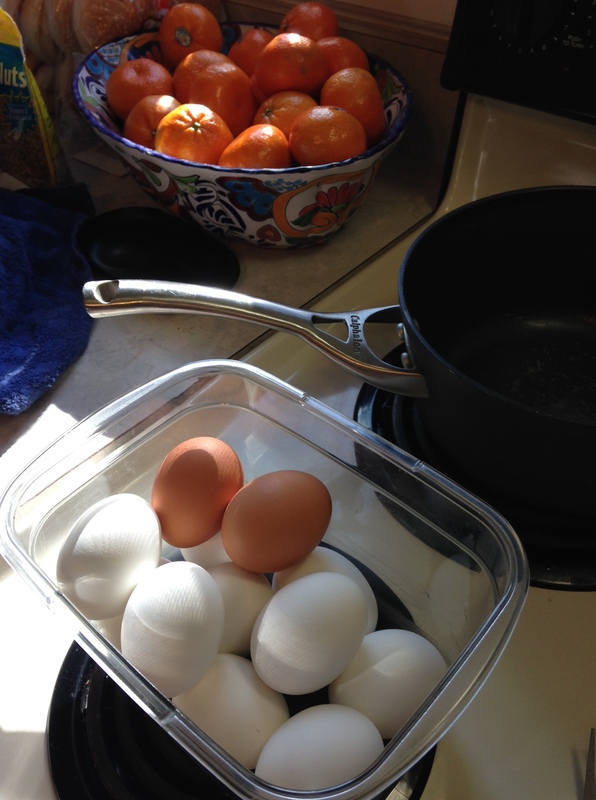 I also always have hard boiled eggs in the fridge. I finally dug the counter top compost canister out and cleaned it out. 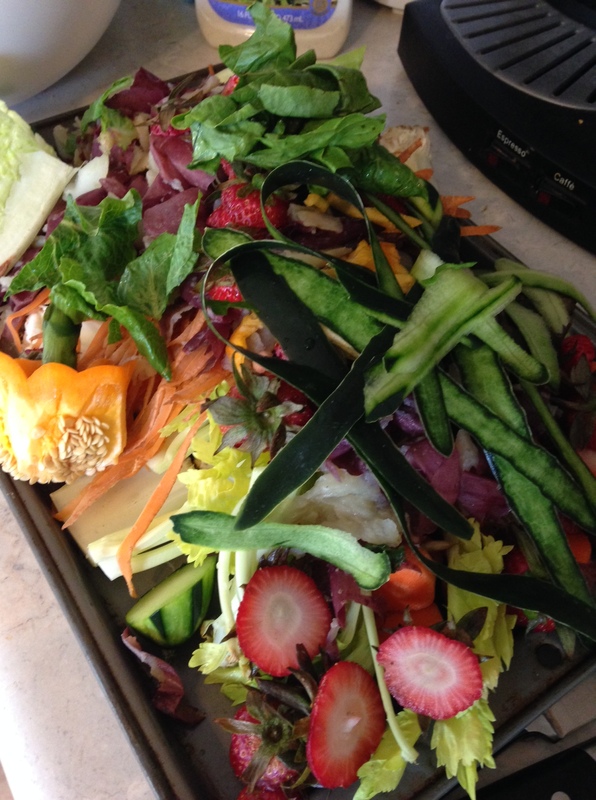 We’re back to composting. Look at all these goodies that will nourish my garden instead of rot in a landfill. 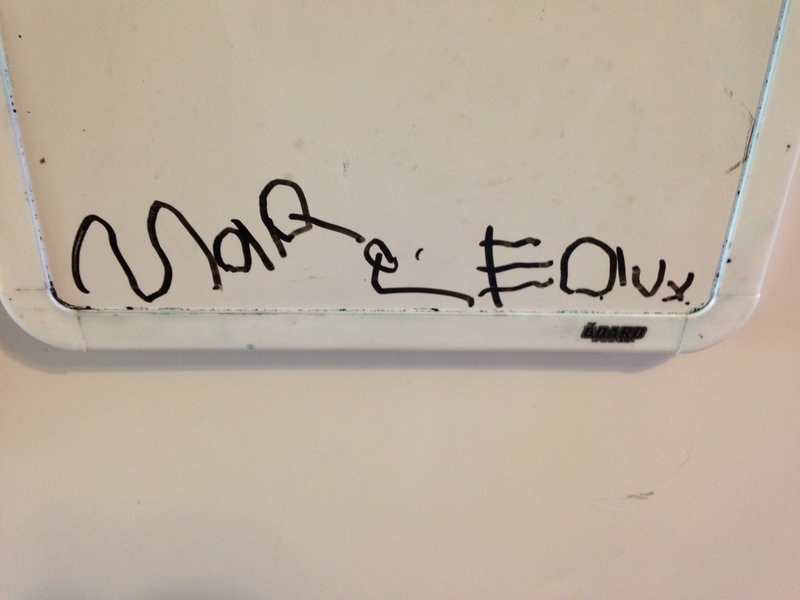 Someone knows how to write her name!!! This entry was posted in Blogging, Cooking, Miss S.. Bookmark the permalink. I thought your compost was a salad when I first looked at it! That might be the prettiest compost pile I have seen in a while! oh love that little squiggely handwriting. I’ve still got my daughter dragon school drawings on a board inside the garage where she would play with friends on rainy days…She’s 25 now!